Risto Kivipuro is a co-founder of Piceasoft and chairman of the Piceasoft board of directors. Risto’s role in Piceasoft is company governance, business strategy, strategic partnerships and managing the leadership team. During his successful, 30-year software business career Risto has headed the international TeamWare Office as well as Nokia PC products and product operation. Back then, products like PC Suite and Nokia Suite had tens of millions of daily users. Jani Väänänen is a co-founder of Piceasoft, chief technology officer and member of the board of directors. Jani is responsible for our research and development. With a close to 20 years’ experience of software development, Jani has worked as head architect of Nokia PC software products which had tens of millions daily users. 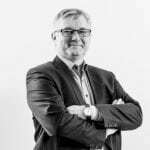 Joni Lagerbom is a co-founder of Piceasoft, vice president of customer services, and member of Piceasoft board of directors. Joni manages customer support, feedback and product delivery. Joni has more than 25 years of experience of customer services. Before Piceasoft Joni was responsible for Nokia PC software product support, with thousands of weekly support enquiries. 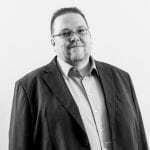 Jyri Roselius is the chief executive officer, co-founder and member of the Piceasoft board of directors. 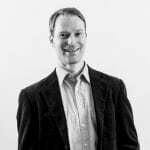 Jyri is responsible for the strategy, goals, targets and plans being carried out within the organization. In addition, he manages finance, administration, legal affairs and human resources. Before Piceasoft, Jyri worked for 17 years at Nokia in several management positions. 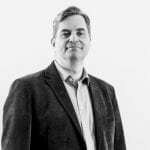 Jyri has a long experience of international software operation – he was in charge of Nokia’s India-based software operation for several years. He headed the integration of Nokia PC software for all Nokia devices with several hundred million Nokia phone users. 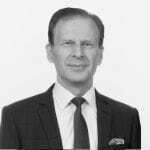 Tapani is the CEO of Elenia Oy and is a member of the Elenia Oy’s Board and the Chairman of the Elenia Palvelu Oy and Elenia Finance Oyj. Tapani is also the Chairman of the Board of Financelitas Oy. Tapani held various managerial positions in the line of energy business in the last 25 years. Before that he was entrepreneur and he sold his companies in 1990. Tapani holds a Bachelor of Science in Electrical Engineering.